Robert Caro is the author of the wonderful Lyndon B Johnson biographies, of which there is one more instalment to come. The Power Broker – a Pulitzer winner – came first. Its subject is Robert Moses and the story is relentlessly one of the awe-inspiring, and terrifying exercise of bureaucratic power. Moses became the most powerful – and for a while the most popular – figure in New York state despite never achieving elected office. Unsurprisingly the parallels between Moses and Caro’s subsequent study, LBJ, emerge frequently. Both possessed huge intellects, knowledge of the law – which they used to selectively break it – and a willingness to employ huge sums of money in their cause. (Unlike Moses, LBJ also had charm, good fortune and none of Moses’ conceited sense of noblesse oblige). In 1934, Caro writes, Moses featured in New York papers more than J Edgar Hoover, the sensational mobster-busting FBI chief. He was the subject of 29 flattering New York Times editorials and hundreds of articles that year. In those years Moses was a genuine reformer with a shrewd understanding of how to, well, broker power. Gradually that skill would become all-consuming. It took too long for newspapers to realise that the man they had built up was busily tearing New York City apart. And it took too long to put the brakes on his perverse vision of urban development, which accounts for a fair chunk of New York City’s problems to this day. Through his public authorities Moses accumulated all the power of high elected office, including the power to evict tenants and raze whole neighbourhoods to the ground to make way for ugly highways, with little accountability. Those public authorities, quasi-state entities, were initially granted by elected lawmakers as efficient means to get infrastructure built. Moses turned them into his own multi-billion dollar empires – all the while projecting an image as a frugal public servant. The special status provided by U.S. law to bondholders’ rights left those authorities, and Moses, immune to outside pressure for decades. I’d recommend the book – at over 1,000 pages, it’s a summer project – to those interested in cities or power or both. ‘Best of the web’ is my weekly semi-regular attempt to squeeze something useful out of my (nerdy) procrastination. See last time’s here. Bill de Blasio’s campaign first caught my attention when I saw this advertisement, which proved hugely effective. de Blasio ran probably the most surgically focused mayoral campaign in modern New York political history, relentlessly repeating a few key phrases—“a tale of two cities” … “income inequality” … “end the stop-and-frisk era”—that played brilliantly to the hopes, angers, and guilts of the city’s liberal, Bloomberg-fatigued Democratic-primary electorate…..The stakes are high—not just for the continued vitality of New York, but as a test of whether progressive values can deliver a more equitable city. American politics has seen its fair shared of populist right-wingers; can a candidate who was elected as a populist left-winger truly govern as one? If so – if De Blasio is able to redistribute income, raise taxes and get re-elected in 2017 – what purchase will that have with other Democratic politicians nationwide? Levy is a foreign correspondent who, a few years ago, suffered a miscarriage in Mongolia. The piece is moving, harrowing but – and this is where the elegance of the writing shows its worth – light, almost, in parts. I felt an unholy storm move through my body, and after that there is a brief lapse in my recollection; either I blacked out from the pain or I have blotted out the memory. And then there was another person on the floor in front of me, moving his arms and legs, alive. I heard myself say out loud, “This can’t be good.” But it looked good. My baby was as pretty as a seashell. ‘Unholy storm mov[ing] through my body’ and ‘my baby was as pretty as a seashell’ don’t belong in the same paragraph, right? How can you feel one emotion, of sheer anguish, one second followed by another, of pleasant curiosity and benevolence, the next? But it works. Another one for US politics buffs. This is an interview from last year, but I stumbled across it recently and took an interest because I’m reading the first volume of Caro’s five-volume biography of LBJ at the moment. The last instalment, covering LBJ’s presidency, is yet to be published. The books have taken Caro four decades to research and write. McGrath says, “In his years of working on Johnson, Robert Caro has come to know him better — or to understand him better — than Johnson knew or understood himself”. He’s right. The level of detail is, in a commendably unonerous way, unreal. 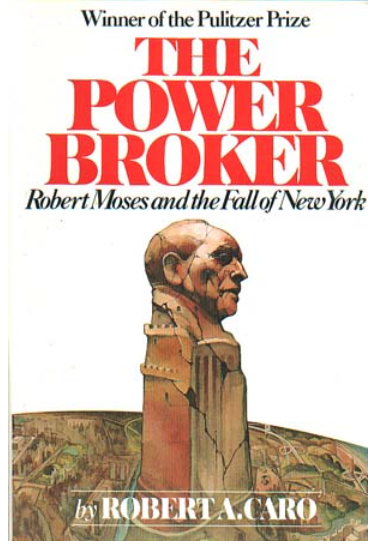 I was amused by the fact that The Power Broker, Caro’s Pulitzer-winning biography of Robert Moses, had 350,000 words cut from it by the editor, Robert Gottlieb (the book came in at a snip: 1,336 pages).